Are you looking for a delightful natural resin ornament to offer your customers? 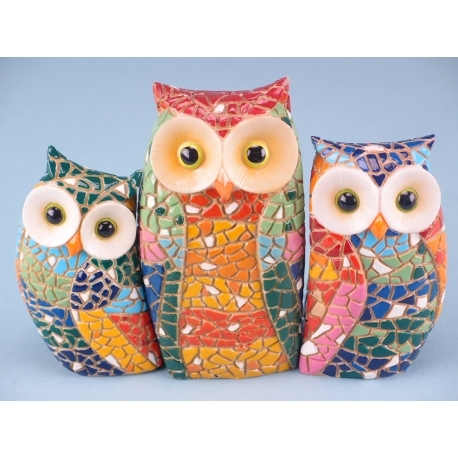 If you are, then pick these mosaic owl set. Contact SDL Imports on 01202 291 122 for more information and availability. If you are in the business of providing your customers with attractive ornaments, which are made from sustainable natural resin, then these are for you. 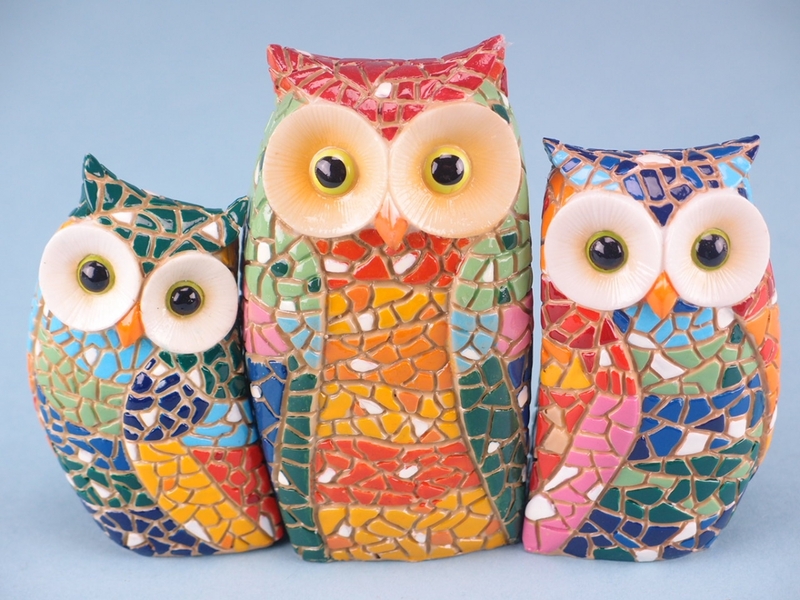 The colourful, mosaic style of the owls can brighten any room they are put into. Owls are commonly associated with knowledge and wisdom, which can help instil a sense of warmth and peace into any room they are used in. This will help make the owls for sellable and should give you a fast turnaround, so don’t miss out.